Story: You join the vege-wars as a soldier! Can you beat the fast foodies? Objective: Beat the fast foodies! Audience: Younger kids around middle school who eat unhealthy foods. Lesson: Eating healthy foods increases your health and makes you and your immune system stronger. Eating healthy foods will give your body antioxidants, especially fruits, vegtables and nuts like blueberries, beans, pecans, cranberries, artichoke hearts, walnuts, blackberries, russet potatoes and hazelnuts. 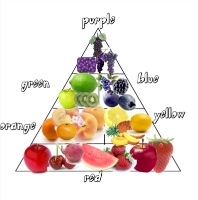 For fruits, colorful fruits are likely to have more antioxidants than others. thanx!!!! this is going to help me with my game!!! !